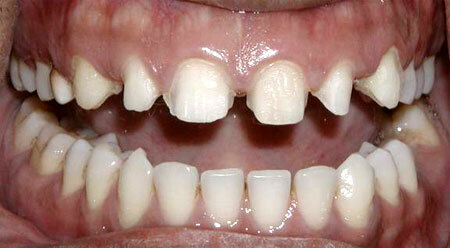 Ugly spaces are present between the front teeth they can be corrected by giving simple porcelain veneers. 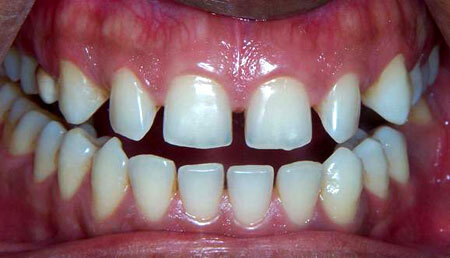 Only minor preparation about 0.5mm on facial surfaces is done to seat porcelain veneers. 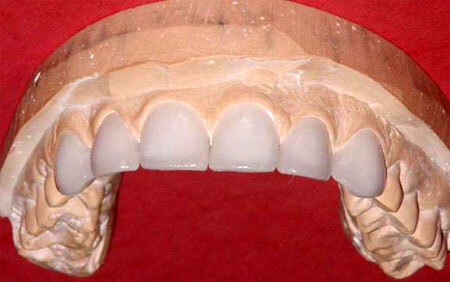 Porcelain veneers are ready on a model with facial view. 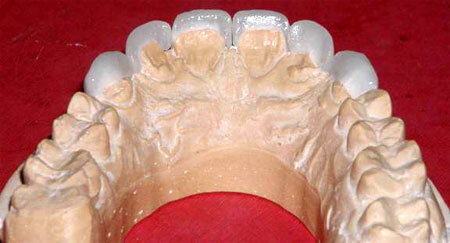 Porcelain veneers with back (lingual) view, the lingual surface is not covered. Final looks. 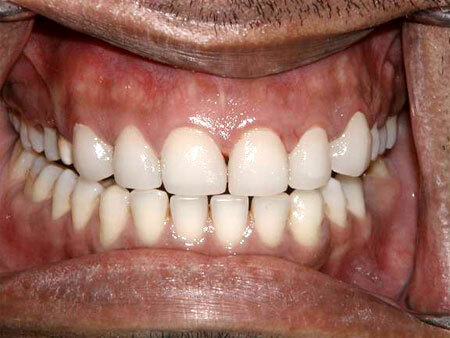 A natural beautiful smile.